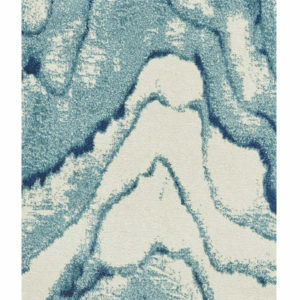 The Angelina area rug boasts a beautiful watercolor design in blue, green and beige hues! This power loomed polypropylene area rug suits modern and nautical themed indoor spaces nicely. Available in rectangular and runner shapes. Rug pad recommended. 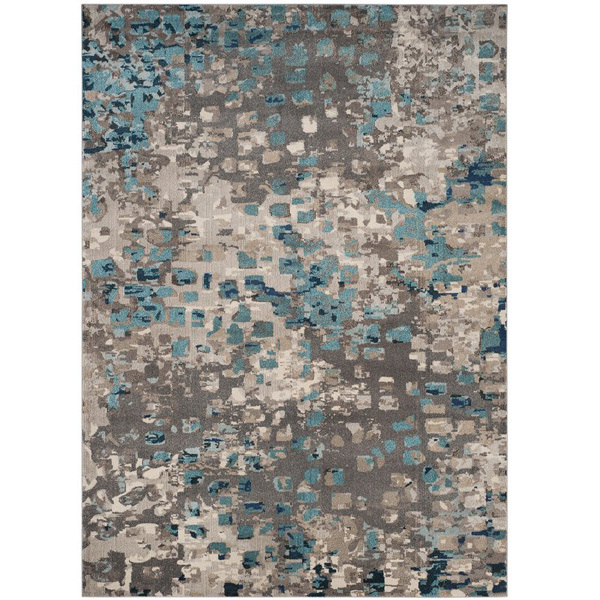 Astratto Area Rugs showcase an abstract pattern in neutral gray and taupe tones with pops of light blue for a subtle splash of color. 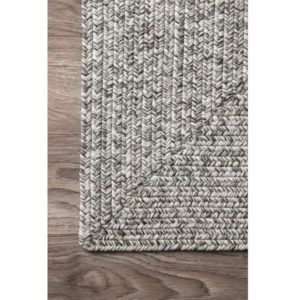 Power-loomed in Turkey from polypropylene, this durable design is an ideal option for busy entryways, bustling living rooms, or any other high-traffic area. 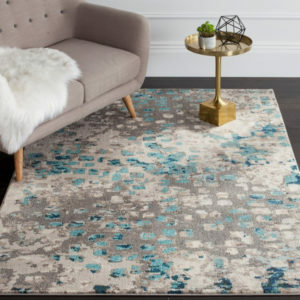 Though its medium 0.45″ pile height provides a bit of padding underfoot, this piece is best paired with a rug pad for extra cushioning and traction. Available in rectangular, round & runner shapes. 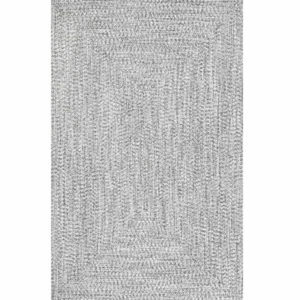 Lend any arrangement a subtle touch of texture with this handmade, braided gray area rug. 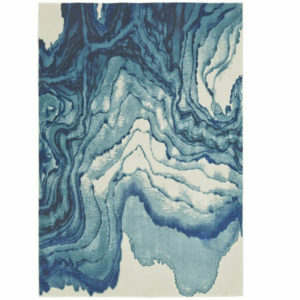 Made from polypropylene, this stain-and fade-resistant piece is easy to clean with a vacuum or hose, making it equally suited for indoor and outdoor spaces. 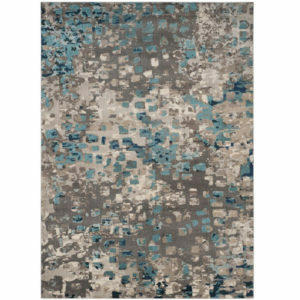 Its salt and pepper hues blend well with a variety of color palettes and aesthetics, while its understated design gives it a contemporary look. 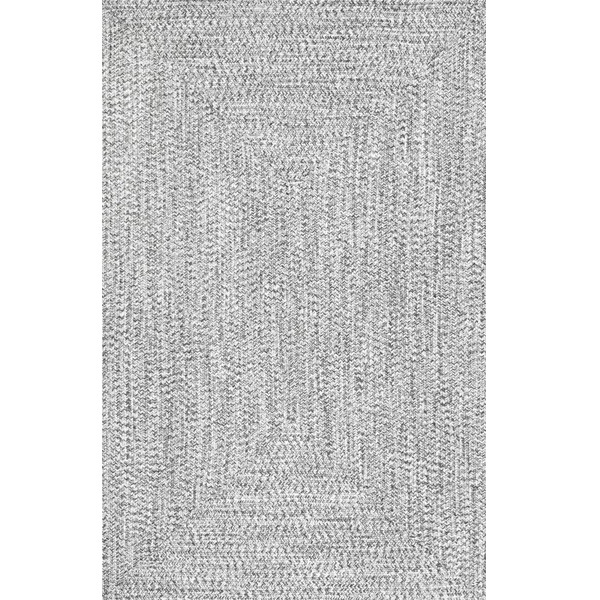 Featuring a low 0.25″ pile height, it’s best paired with a rug pad for extra cushioning and traction underfoot. Available in rectangular, round & runner shapes. 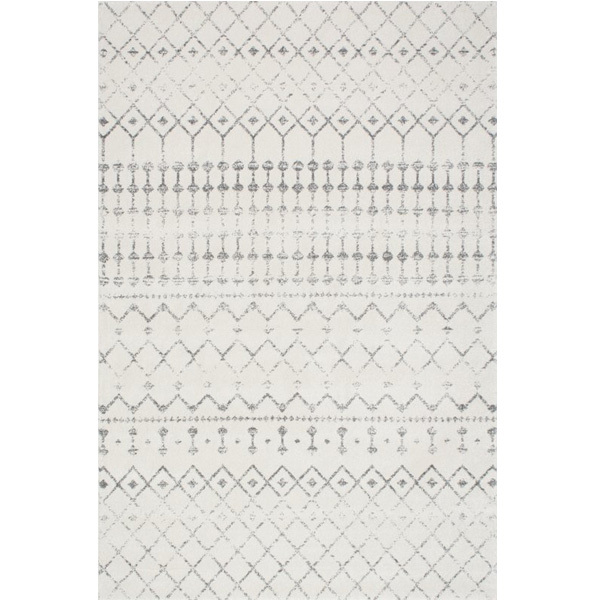 This indoor area rug is machine woven polypropylene with a latex backing and a .5″ pile. Available in rectangular, round, oval and runner shapes. 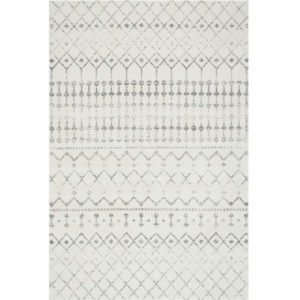 *This beautifully neutral rug ships compressed and takes up to a month to lay flat. A rug pad is recommended. 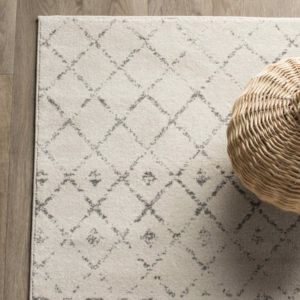 Crafted from 100% latex, rug pads are an essential foundation for every space. 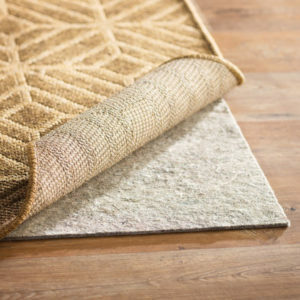 Without a pad, your rug may be damaged from rubbing against the floor, and your floor may be damaged from the rug. 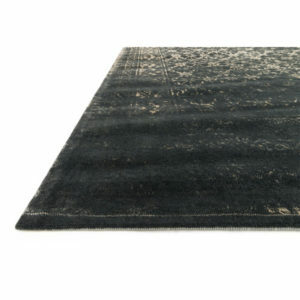 The pad will also prevent your rug from slipping, so you are less likely to trip when walking over it. Features added cushion and absorbs shock & sound. Suitable for any indoor flooring – even heated floors! Available in many sizes and shapes. Made from recycled synthetic fibers. Trim with household scissors if necessary. 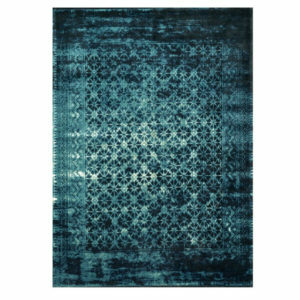 Viaggio area rugs offer a trendy, distressed look – perfect to balance your high-traffic, indoor modern space! 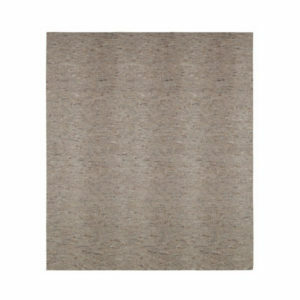 Flat woven wool & viscose at a .25″ pile height. 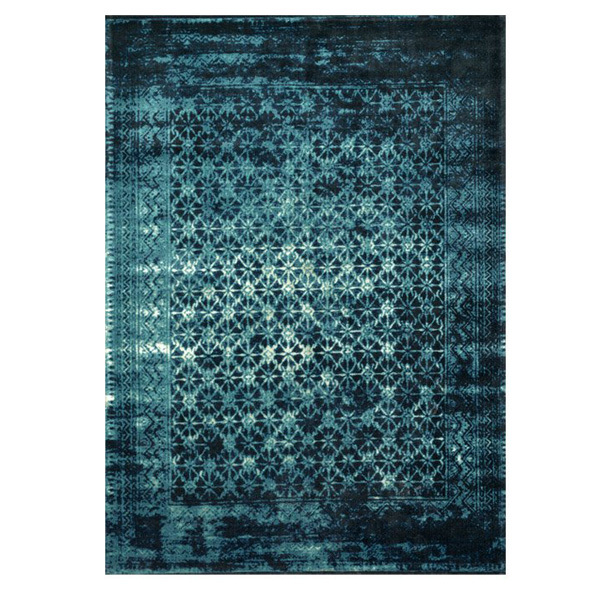 Available in rectangular and runner shapes in black or indigo.